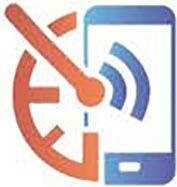 Slow internet speeds on your mobile device are often caused by low signal. If you suffer from low signal on the go, you will be able to relate to the frustration of trying to access email or the internet. Cel-Fi GO will amplify the available LTE or HSPA mobile signal and increase your data speeds dramatically. Email, internet, video and social networking speeds can achieve up to 4x improvement. Note: The 4G/LTE bands can only be utilised for data (not calls) unless both the smart phone and the local network support Voice over LTE (VoLTE). contacted when required. No longer do you have to put up with calls dropping out or terminating during conversation while on the move. The quality of a voice call is usually determined by the phone’s signal strength and nearby interference. With improved signal strength inside your vehicle, Cel-Fi GO mobile version will provide crystal clear voice quality for your cell phones. Amplifies and disburses a 3G (HSPA) or 4G (LTE) mobile signal. Note: Cel-Fi GO will only boost one frequency band at a time. Provides manual selection of 3G or 4G or utilise the auto band selection. Band selection is via a button on top of the unit or using the WAVE App. Once installed, Cel-Fi GO has Automatic Gain Control (AGC) continuously monitoring system path loss to deliver maximum gain up to 70 dB. 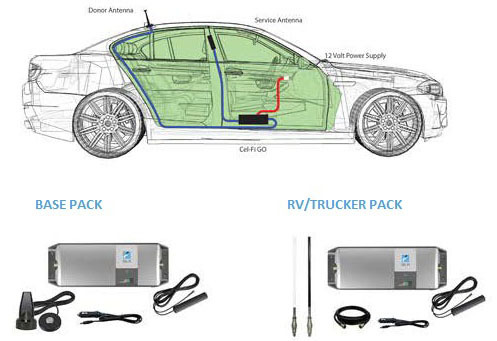 Provides mobile coverage in and around the vehicle/area. Rigid cast-aluminium casing with IP54 rating, suitable for adverse environments. Network-Safe protection that monitors mobile base stations in real time to ensure no interference with the normal function of the mobile network. Cel-Fi GO supports Bluetooth Connectivity or Micro USB connection to Nextivity’s Smartphone or PC WAVE App. Intuitive WAVE App allows quick and easy installation by a trained technician. Cel-Fi GO will provide a coverage area sufficient for multiple simultaneous users, between 5 and 20 depending on the activity. The 4G/LTE bands can only be utilised for data if both the smart phone and the local network support Voice Over LTE (VoLTE). You will need to check your smart phone to confirm it has VoLTE functionality. Cel-Fi GO mobile version will not boost in areas where the signal is already very strong. If the signal is better than -80dBm (3G) or -95dBm (4G) the mobile GO version will cease to boost to ensure a degraded level of service is not experienced. 12 VDC via external supply OR cigarette socket External supply: 100 to 240 VAC, 47 – 63Hz. SMA Female Outdoor Antenna Connector (50 O) SMA Female Indoor Antenna Connector (50 O) Approved antenna are supplied with the units. Your Cel-Fi GO is approved if installed correctly. 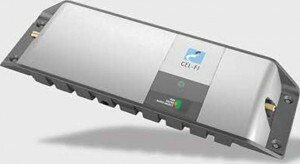 Only qualified resellers who have undertaken product training should perform installation of Cel-Fi GO. Mobile version Cel-Fi GO’s require you to take into account the vehicle’s safety mechanisms such as airbags, ABS, Traction Control, Stability Control and Auto Electrics. Incorrect installation may result in water leaks, electrical failure, battery damage, fusing of internal wiring and cables or risk of FIRE. Misuse of this equipment could result in injury and equipment damage.